Pope Francis has recalled that today, March 22, marks World Water Day, instituted twenty-five years ago by the United Nations, while yesterday was the International Day of Forests. 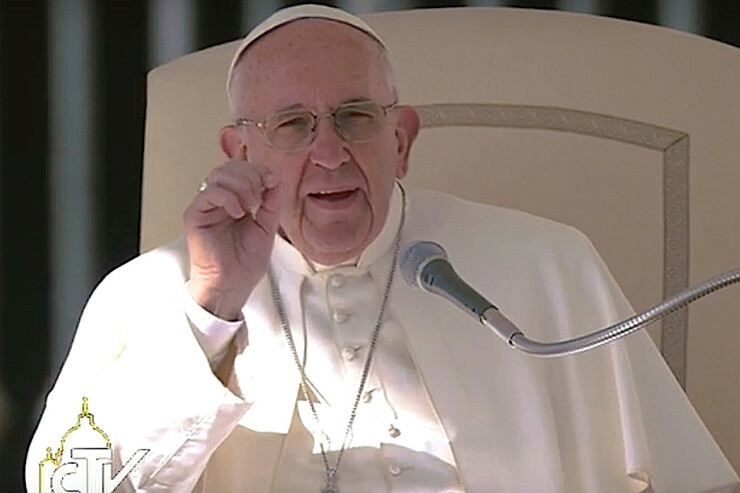 During today’s General Audience in St. Peter’s Square, he did this as he gave a special welcome to the participants in the “Watershed” Conference on replenishing water values for a thirsty world”, co-hosted by the Pontifical Council for Culture and the Argentinian Chapter of the Club of Rome. “I am happy that this meeting is taking place, for it represents yet another stage in the joint commitment of various institutions to raising consciousness about the need to protect water as a treasure belonging to everyone, mindful too of its cultural and religious significance. “I especially encourage your efforts in the area of education, through programs directed to children and young people. Thank you for all that you do and may God bless you!” he continued. Later Today, March 22, World Water Day 2017, Pope Francis will address the event from the Vatican. After the Pope’s address, “watershed,” reports its website, will bring together some 400 ‘thought leaders,’ including policy makers and academics, students, artists, business leaders and men and women from the most at-risk populations to discuss dialogue around the value and values of water. According to the World Bank, 1.6 billion people currently live in countries and regions with absolute water scarcity. That number is expected to rise to 2.8 billion people by 2025. According to the FAO, 69 percent of the water taken from rivers, lakes, and aquifers is used to grow food, globally. Another 19% goes to industrial production, and 12% is used for city water services.